On the Move Systems Corp is currently negotiating a development agreement with a Florida-based transport company offering shipping to The Bahamas and Cuba. TAMPA, Fla.–(BUSINESS WIRE)–In its quest to offer the best cargo shipping options on the Web, On the Move Systems Corp. (OTCBB: OMVS) is currently negotiating a development agreement with a Florida-based transport company offering shipping to the Bahamas and Cuba. OMVS has been scouting promising intermodal freight transport companies for potential partnership and acquisition since August. The company is working to revolutionize the way cargo transport services are bought and sold by developing a new online platform that applies the same business model used by companies such as Expedia, Travelocity and more to travel and transportation options not offered by its larger competitors. Partnering with established, successful intermodal transport provider represents a major step forward for OMVS in achieving its goals, says OMVS CEO Robert Wilson. By delivering easy, round-the-clock access to niche service providers, OMVS plans to market new technology solutions that will allow it to compete in the online transportation market alongside Priceline.com (NASDAQ: PCLN), TripAdvisor.com (NASDAQ: TRIP) and Expedia.com (NASDAQ: EXPE). 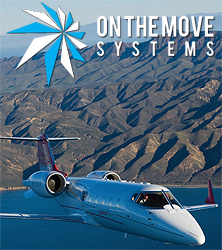 For more information on On the Move Systems’ bold new direction, please visit www.onthemovesystems.com. About On the Move Systems Corp.
On the Move Systems Corp. (OTCBB: OMVS) is focused on the development of cutting-edge technology across a broad spectrum of industries. The company is currently exploring new online tools to reduce costs and increase convenience in the tourism and transportation industry. For more information, please visit our website at www.onthemovesystems.com. On the Move Systems Corp. The C/S Sarafina has become the newest ship to be added to The Bahamas shipping registry by Campbell Shipping Company Ltd. The vessel was christened by Dame Marguerite Pindling (left). 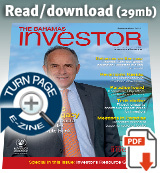 Ultrapetrol (Bahamas) Ltd, an industrial transportation company serving marine transportation needs in three markets (River Business, Offshore Supply Business, and Ocean Business), announced yesterday that it will release its third quarter 2013 financial results November 13, 2013, after the market closes.